India's aviation safety ranking was on Wednesday upgraded to Category-I by US aviation watchdog Federal Aviation Authority (FAA), paving the way for the domestic airlines to expand in the US skies. The restoration of status comes more than 14 month after it was downgraded to Category-II following failure of aviation regulator DGCA to meet the international safety norms. Announcing the upgrade, US Transportation Secretary Anthony Foxx said that India has worked hard to get back the status. "I enjoyed a very productive series of meetings with Civil Aviation Minister Ashok Gajapathi Raju today. I want to congratulate India on achieving Category-I status in their civil aviation system," Foxx said after the meeting. "This is a big news, because India has worked very hard over the last one year to achieve that status," he said. US encourages India to continue sustaining that status, Foxx said. Directorate General of Civil Aviation failed to meet the safety standards set by the UN body International Civil Aviation Organisation (ICAO). Margaret Gilligan, Associate Administrator for FAA, in a communication today to DGCA M Sathiyavathi informed him about the decision to restore Category-1 status to India. "We are happy about restoration of status. It speaks well about our aviation safety and security and that we have come up to ICAO standards. It generates opportunities for our airlines and we hope they will harness them," Raju said. He said the DGCA now needs to continuously work to maintain and keep those standards. In the letter, Gilligan said, "I am pleased to advice you the hard work undertaken and completed by your government on its safety oversight system resulted in a positive findings during our recent discussions. "We therefore determine that the India now meets the requirement under the international oversight standards of the Chicago Convention and the annexes thereto." "In consideration of the FAA's determination based on the corrective actions taken by the DGCA to date, the IASA category for India shall be immediately upgraded to Category I," it said. 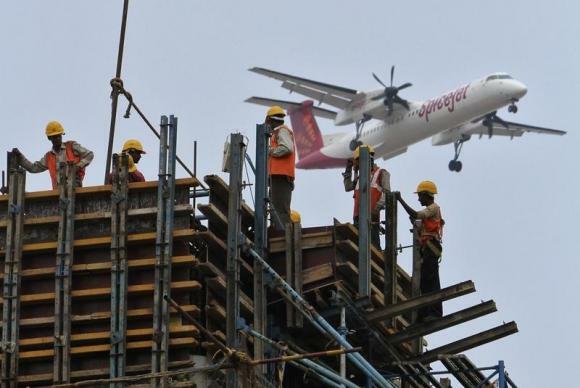 Appreciating India's efforts, the FAA said, "The DGCA has demonstrated the commitment to developing effective safety oversight of India's airline industry. We look forward to working with you in future to sustain these important changes." What's SRK doing with Alia, Aditi, Fatima?